At Marble Emporium, Inc., the leading stone fabricator and installer, we strive to always import, fabricate and install the finest natural stone for residential and commercial construction and renovation projects. We seek to accomplish this by implementing a combination of the latest stone processing technology and old world, traditional hand-work artisan skills. Everyone endeavors to work as a team member in a spirit of participation within a framework of professional integrity so as to provide unmatched customer service for an affordable priced product while ensuring a fulfilling, safe, ecologically responsible and growth-promoting work environment. 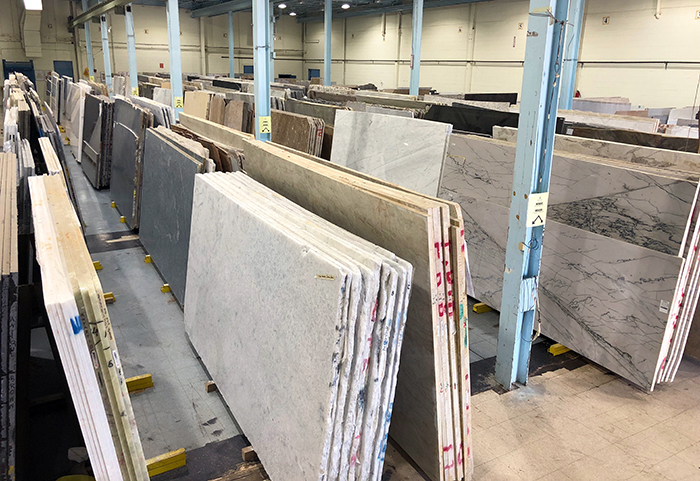 Marble Emporium, Inc. is at the cutting edge of technology in the processing and fabrication of granite, marble and other natural stone slabs. Delicate edge work and joints as well as custom design execution is all part of what we produce for our clientele. We represent only a handful of stone companies in the Midwest which have slab resurfacing capabilities – we can hone, polish, or brush slabs to order giving our clients unlimited design options. This combination of advanced state-of-the-art equipment and traditional hand-work artisan skills means Marble Emporium can fabricate virtually any design concept – confidently, efficiently, accurately and on time while producing field installations without problems or delays. The classic whites are now part of the “Greek Whites” collection of classic Greek marble at Marble Emporium, in Northbrook, Illinois. Thassos Pure White, the whitest marble of the world is a favorite of Chicago’s interior designers who seek the ultimate in whiteness, Thassos Pure White is only available in relatively smaller sizes, suitable for bathroom applications, fireplaces, and furniture designs. Naxos Crystal White is a durable, calcitic crystalline, in continuous usage for the last 2700 years. Naxos has the strength and low porosity that makes it suitable for the toughest applications. Pentelic White is the legendary marble of the Parthenon and the Athenian Acropolis. Get inspired from one of the largest natural stone inventory in the Chicago area. 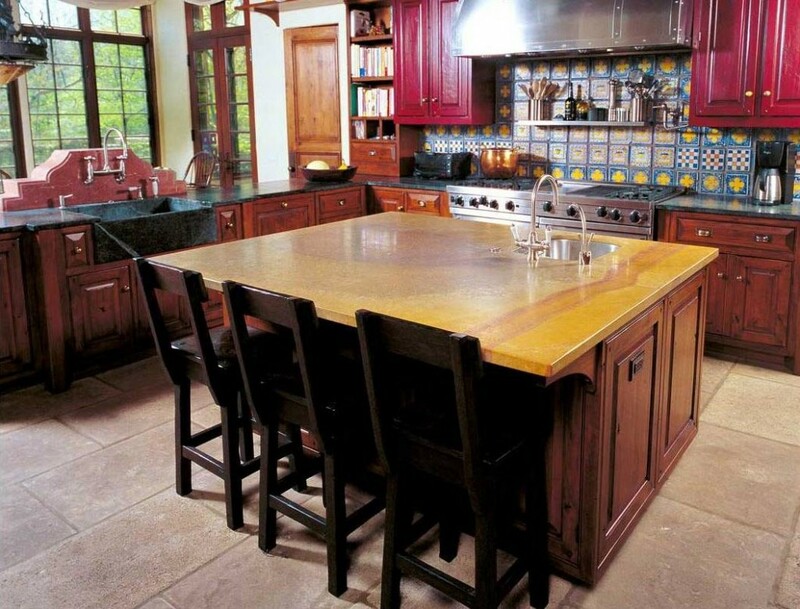 Use our experience to create your dream stone top from natural stone slabs or quartz surfaces. 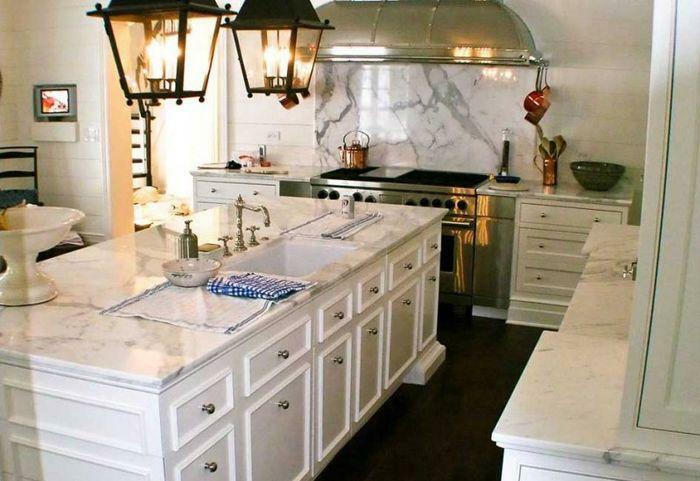 Enhance your project with stone sinks, fireplaces and many more stone treasures. Our inventory is enriched constantly. Stone selection is NOT something to be done solely over the internet. Each stone has an incomparable value, which creates both visual and tactile emotions. Come to our warehouse and evidence the variety and uniqueness of natural stone. What makes us different from all other natural stone fabricator companies in the Chicago area? We know how difficult it can be to select someone to build your countertop. That is why we offer free in-home, in-shop or over the phone consultations so that you have the opportunity to meet us in person and ask us as many questions as you need about the process of designing and building a custom granite countertop. We serve the entire Chicagoland area and all surrounding suburbs. Call us today to schedule a free consultation at (847) 205-4000. If you prefer, you may also visit our Northbrook showroom or request more information about Marble Emporium on our Contact Us page. We are the first natural stone fabricator in the Midwest that earned the accreditation of Marble Institute of America. Marble Institute of America only accredits the best that the stone industry has to offer. Companies that have earned the right to display the accreditation seal are those high performing companies that meet the industry’s highest standards for technical expertise, business activities and ethics, product knowledge, safety, finance, fabrication and installation. These words aren’t just slogans, they’re our promises! I have had friends looking for stone that couldn’t believe the quotes they were getting at other vendors. I sent them to Juliette and their quotes came back at almost half the price that they had been quoted elsewhere! We are now working on our personal residence and never considered working with anyone else! We (Design Insight Inc.) worked w/ Marble Emporium last Fall for a master bathroom remodel. Their selection & professionalism is unsurpassed! 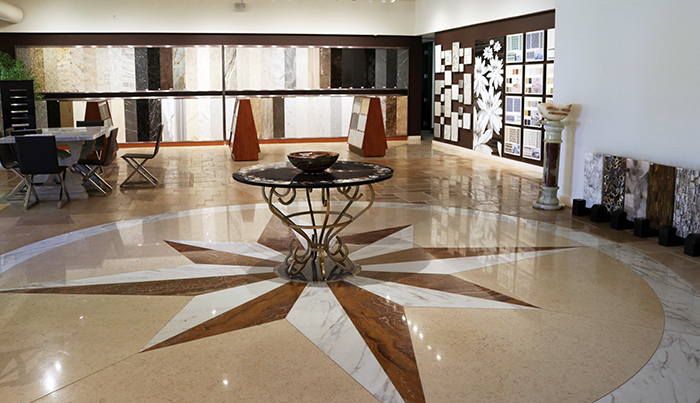 They not only have an enormous & beautiful showroom, but also an equally large warehouse of slabs. Marble Emporium is also unique because they sell the slabs as well as perform the fabrication/installation. I have already worked w/ them again on a powder room & will continue to recommend them to others! Jereme S., Design Insight Inc.
Marble Emporium Inc specializes in designing and creating custom made stone works for architects, interior designer’s residential and commercial projects and homeowners. We do all aspects of stonework including floors, walls, staircases, kitchens, baths and surrounds, vanity tops, fireplaces and unique designer pieces. Monday - Friday: 8:30 a.m. to 6:00 p.m. Copyright 2019 © Marble Emporium Inc. All Rights Reserved.